Improving border security revolves mainly around improving technology. 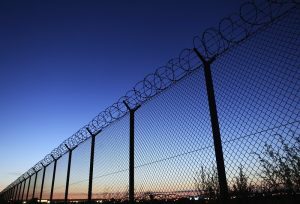 Border security is seen as one of the most critical aspects of security for many nations. Security checkpoints can often be the first place that security personnel can intercept potential threats or criminal activity, but to do so, they must be properly equipped. In a time where security seems to be of the utmost importance, there isn’t any reason to take a chance on how well equipped your border security checkpoints are. Read on to find out three steps we can take to improve the quality of border security checkpoints. dealt with by computers able to analyze and compare undercarriages such as the Gatekeeper AUVIS. Training personnel to recognize anomalies is a big part of good checkpoint security. If you’re concerned about border security, you know how important it is to be able to check vehicles for anything out of the ordinary. If your employees are able to recognize those threats on their own, it can result in better security protocols and reaction times. However, keep in mind that manual searches are never going to be completely effective, and that while education is an important component in border security, it isn’t the answer to everything. If you’re worried about the issues with manual inspection or can’t afford to bring on more personnel, advances in technology may be the solution for you. New technologies are capable of performing automated vehicle scans for you, so you don’t need to rely on your staff’s knowledge and have a more concrete backup. Gatekeeper’s Automated Vehicle Inspection System is available in permanent installations so you can take border security as seriously as it should be. It will scan the undercarriage of any road vehicle to determine if there have been any potentially dangerous modifications or alterations. This entry was posted on Friday, July 14th, 2017 at 9:31 am. Both comments and pings are currently closed.